Hi there, my darlings! 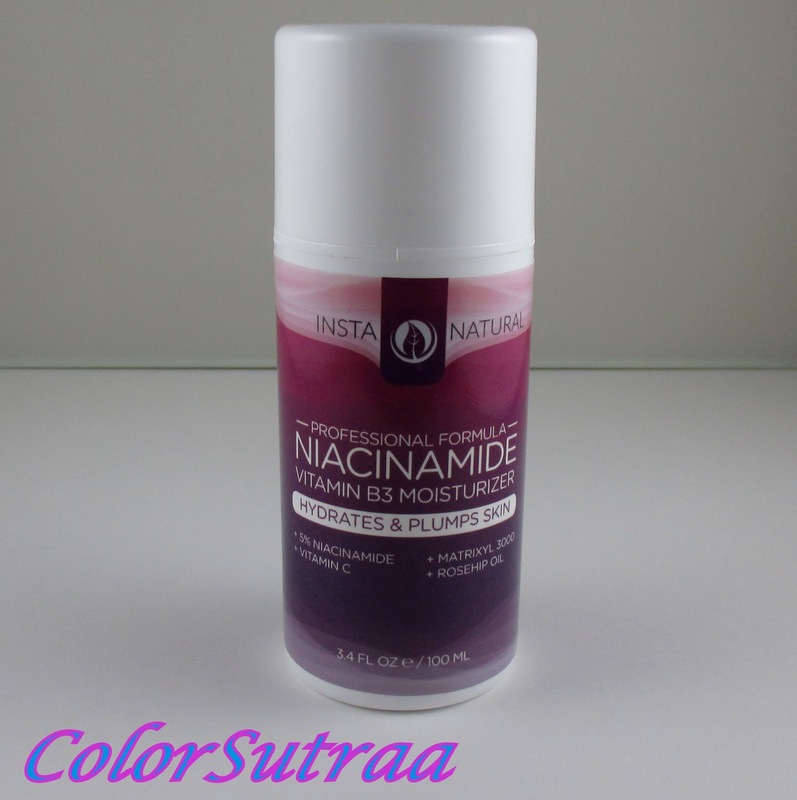 Today, I have a review of an unassuming product that worked surprisingly well for me--Instanaturals' Niacinamide Vitamin B3 cream. As I'm sure a lot of us are, I'm usually wary of most facial moisturizers--the threat of a breakout is too imminent for me to experiment! But when I read the ingredient list and the claims of this product, I decided to give it a shot...and I'm glad I did! 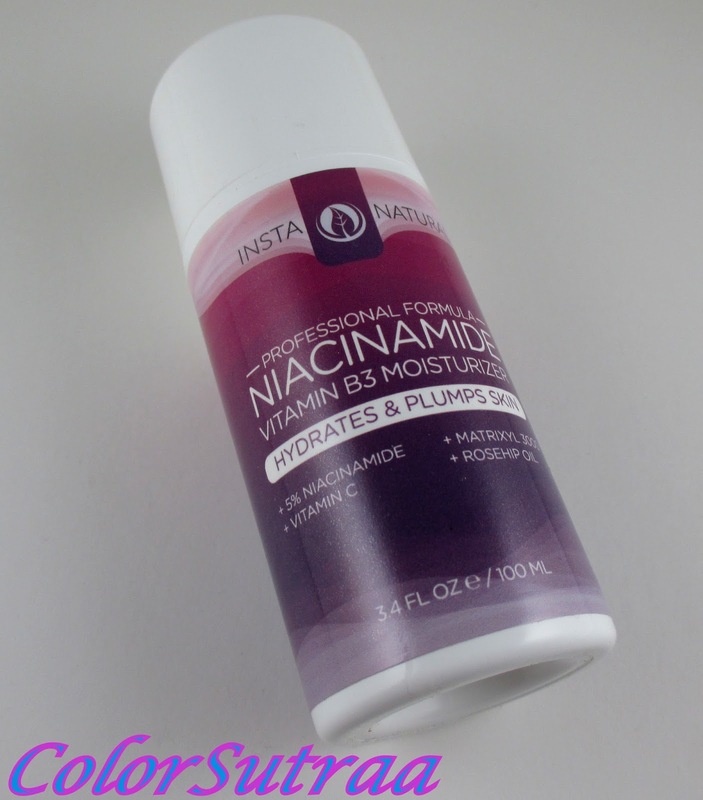 The Niacinamide Vitamin B3 Moisturizer is a hydrates and plumps the skin. This is a rich and heavy moisturizer (not to be confused with our Vitamin B3 Serum), but it also dries fast and can be used in conjunction with the Niacinamide serum to diminish redness and inflammation, as well as reduce the appearance of scar, acne and hyperpigmentation. Our formula also contains Vitamin C that works synergistically to minimize damage from environment factors and promote ongoing skin health and rejuvenation, so you can attain a radiant, youthful glow. ANTI-AGING BENEFITS - With Vitamin C, Niacinamide, Matrixyl 3000, Rosehip Oil and Argan Oil, our night cream formula helps to improve your complexion and reduces the signs of aging in skin. This facial moisturizer can be used regularly to combat wrinkles, dark spots, hyperpigmentation, uneven skin tone and more. SOOTHES ACNE & BLEMISHES - Our night cream contains 5% Niacinamide / Vitamin B3, which has been known to help soothe acne by reducing redness and inflammation of irritated skin. It also helps to lessen the appearance of red marks left behind by aggressive breakouts. DEEPER HYDRATION - This luxurious cream offers ultimate nourishment to the skin. You only need a few dabs of this thick and creamy mixture to cover your entire face and neck. After a few simple rubs, the moisturizer will absorb into your skin, delivering instant nourishment while leaving your face feeling softer and smoother. MADE IN THE USA - Each bottle of our Anti-Aging Night Cream Moisturizer is made in our advanced FDA registered facility. We strive to provide high-quality ingredients to our customers to ensure satisfaction. MANUFACTURER GUARANTEE - InstaNatural is proud to back their products with a 100% Satisfaction Guarantee, no matter where you buy our product. USE AND IMPRESSIONS : I followed the directions closely the second time I used this product because my first attempt served to show me that there was indeed a right and a wrong way to apply it! After thoroughly cleansing my face, I applied a small, pea-sized amount all over my face and neck--a little goes a very long way with this product--this is where the pump nozzle comes in handy. I lightly massaged the cream into my skin with my fingertips--I did this once daily right before bed, for about a week or so. First of all, if you expect a pleasing fragrance--stop. This is an almost medicated cream and smells quite as such. Not horrible but definitely not pleasant. That being said, I found it quite effective! 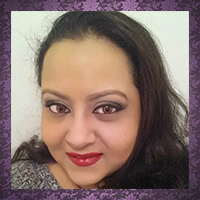 My skin not only felt softer and smoother, but some of my ancient acne scars seemed a little lighter. I do believe that maybe a longer use might show even better results, so I'm going to keep using it on my scars and report back! In the meantime, if you would like to try this cream out for yourself, you can find it on Amazon HERE for the price of $19.97 for a full-size, 3.4 fl oz bottle. What is YOUR biggest skincare challenge? I'd love to hear your opinions in the comments section below!